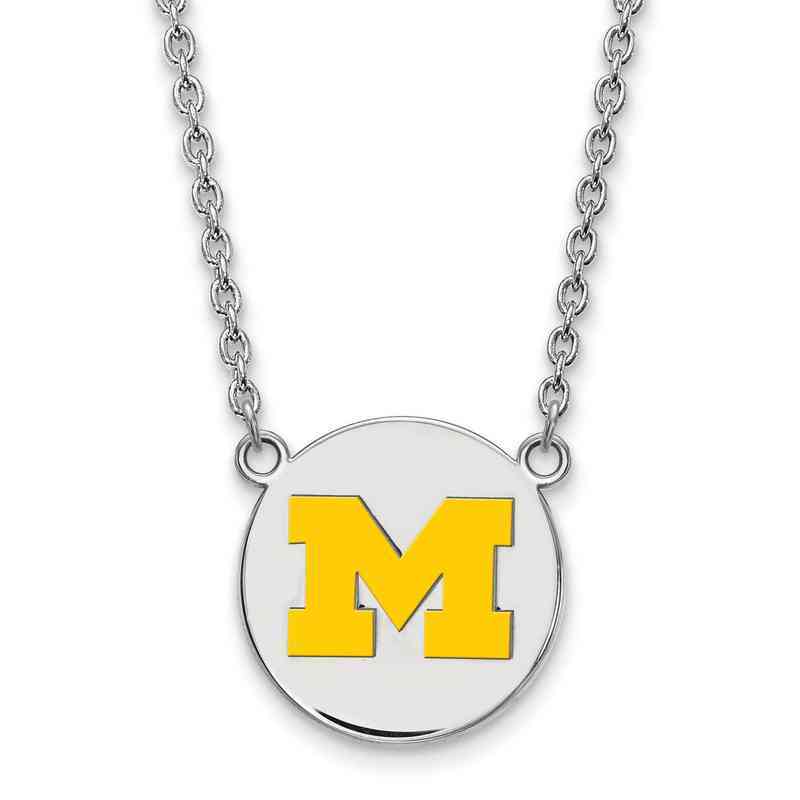 Perfect way to show off your collegiate pride for University of Michigan with this striking sterling silver pendant necklace. Decorated with yellow enamel on a round disc, this 19mm large LogoArt pendant has polished finish for lasting shine. This necklace comes with an 18-inch long cable chain fastens with lobster clasp. Manufacturer direct from a trusted supplier.